The maritime district of Castellon is located a few kilometers from the capital of La Plana. A small fishing and tourism town, open to the Mediterranean Sea and the interior of the province. Long clean sandy beaches with all the necessary amenities, to make your holiday by the sea the most enjoyable. The Plaza del Mar is the entertainment center of the Grao. Fishing and marina ports, offer all the visitors a corner of fun. Walking, having a drink and enjoying the seaside atmosphere that makes the day to day life of the Grao … All ready for visitors to enjoy the best days in our city. This plaza has a wide range of cuisine, but also bars and cinemas, where you can spend a pleasant evening with movie stars and drop into any of the restaurants and bars offering fine dining in Castellon. In the same space stands the Moorish building, built in the early twentieth century and is named for its special architecture, reminiscent of Arab buildings that for centuries have glown the Levante area. Today it houses in its premises the PortCastelló Foundation, and in the most spacious and airy part holds exhibitions, events and summer courses of the University Jaume I. Just in front of the Mall stands the old lighthouse of the Grao, rebuilt as it was, to give testimony and provide a more maritime vision to one of the most vibrant areas of the province. Next to it we can find the Gran Casino de Castellón Puerto de Azahar, a place to enjoy the thrill of gambling. On the way to the Hotel del Golf Playa we can find el Pinar (Pinewood Park) an area where you can take a walk, with parks for children and picnic tables and barbecues to make your picnic more enjoyable. With some luck you may see some of the many squirrels that live there. Starting from the Planetarium, we can walk the Coastal Park, an area of ​​reclaimed dunes that give natural touch to the three beaches of Castellón, pinar, gurugú and the serradal beach. You can access them strolling around this pleasant walk, where you can find playgrounds, showers and recreational areas. 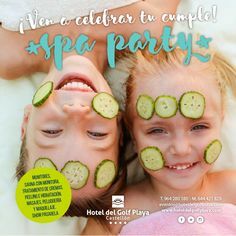 The Hotel del Golf Playa – Castellón is the beach hotel that is just a few minutes walk from the Plaza del Mar and only 50 meters from the beach. A place to go with the many activities and leisure activities offered by the Grao de Castellón. 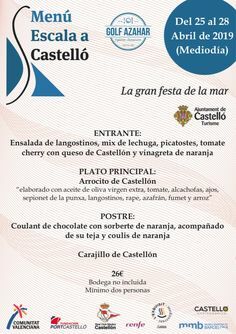 We hope to show you all you can enjoy in the sea area of ​​Castellón.